Dialogue Space > The Nexus Times > Electric cars: an answer to the wrong question? Electric cars: an answer to the wrong question? When they were first commercialised in the 1880s, electric cars had a brief moment of glory – or at least brief in technological terms, as they were the car of choice in the US and in Europe for almost three decades. Their popularity against steam-powered and gasoline cars was due to faster start up times and a lack of vibrations that led to an overall smoother driving experience. The underdeveloped intra-urban road infrastructure also had a part to play in their success, as it meant that cars were mostly needed in cities, with longer journeys being covered by trains. However, things quickly turned sour for electric car manufacturers in the 1920s, when the availability of cheap oil and the expansion of road infrastructure boosted the popularity of cars with internal combustion engines (ICEs), which could be used for longer journeys at a cheap price. Fast forward almost a century later and ICEs are still dominating the road transport market, locked into a vicious cycle of expanded infrastructure and consumption of liquid fossil fuels. Recent trends, however, point to a potential renaissance of electric cars. While the number of regular cars on the road still greatly outnumbers those running on alternative fuels, concerns over pollution, climate change and security have contributed to a revival in the interest for the ICE’s long forgotten technological opponent. Take the European Union, for example: in 2018, electric car sales increased by 42%, leading to a flood of articles proclaiming that the era of ICE vehicles is over. With an average of lower lifetime GHG emissions (although strongly dependent on the electricity mix), reduced air pollution and a potential to reduce imported oil, it is easy to see why electric vehicles have become popular in sustainability discourses both in the media and in policy circles. On the other side of what seems to be a win-win solution, social and environmental implications linked to their material requirements taint electric cars’ green reputation. The amount of lithium needed for batteries is high, and is expected to grow exponentially as the demand for electric vehicles rises – even more so given the underwhelming recycling rates of batteries and their short lifetimes. To give an idea of the scale of the problem, the Tesla Model S contains 12 kilos of pure lithium, while an IPhone battery uses less than a gram. Not only does the high concentration of lithium in a few countries pose security of supply concerns, with the risk of shifting from an oil dependency to a lithium dependency, but the extraction itself has led to a number of ongoing conflicts due to water use and pollution as well as poor working conditions, among other reasons. Earlier this month, twenty indigenous communities of Northern Argentina, whose land falls under what is known as the lithium triangle spanning across Argentina, Bolivia and Chile, protested in mass against lithium mining, on environmental as well as cultural grounds. One of the arguments put forth by the communities, which is underrepresented in Western framings of benefits and trade-offs, is that the extractive activities clash with their social philosophy of Buen Vivir. Lithium isn’t the only resource to be concerned about: electric car batteries also require cobalt, which is notoriously linked to child labour in the Democratic Republic of Congo. These issues are deeply entangled within dynamics of extraction and consumption that permeate the use of resources in the global economy. Electric cars are not generating new patterns, but if implemented on a large scale they have the power to exacerbate existing ones. Their capacity to contribute to an unequal distribution of environmental burdens, and of local and global effects, lies in the green narrative that makes them so popular. By framing electric cars as a necessary solution to fight climate change, other effects of their large-scale implementation risk being cast aside as secondary ones, somewhat inevitable in the fight for the greater good. Critical transport scholars, however, stress that electric vehicles are simply one part of a portfolio of solutions needed to transform the transport sector into a sustainable one. This resonates with discourses of deep sustainability, which call for changes in both technologies and practices. Being part of the complex social-ecological system, these types of changes are not separate: the introduction of a new technology may have unpredictable effects on human practices depending on a number of factors, including culture and mind-set. The current western car culture upholds the ideal of individual freedom through an unregulated use of personal vehicles. 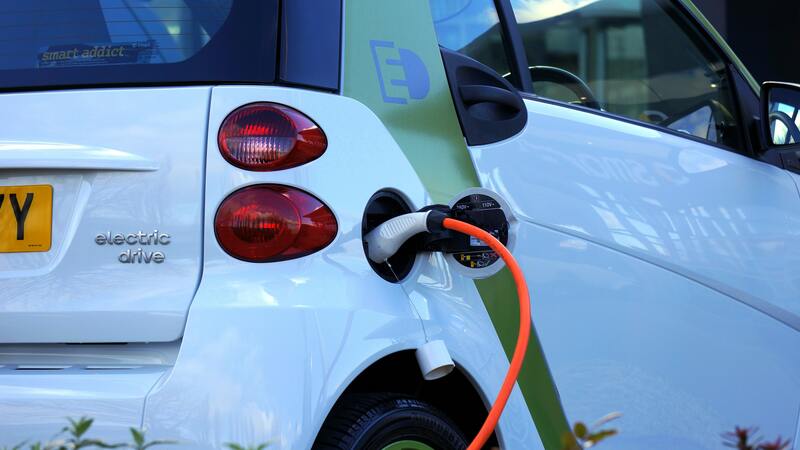 Introducing electric cars into this environment may carry the risk of fostering a transport culture that is dominated by personal cars, outshining alternative practices such as car sharing and the improvement of public transport networks. These alternatives are central to a sustainable transport revolution that aims at changing not only how cars are run, but also how people get around. The generation of scientific knowledge has a part to play in giving weight to a diverse portfolio of alternatives. The majority of academic discourses on the topic of electric cars has so far focused on the comparison between the sustainability of different types of engines (electric vs. ICE). Taking a different view of the issue, in MAGIC we are zooming out of the picture and comparing the effects of a fully electric car fleet in Europe with other types of changes, such as car sharing and an increased use of public transport. Focusing on the nexus, we will check through different scenarios how behavioural and technological changes compare in terms of GHG emissions, labour, energy and water use. It is likely that a sustainable future will require a combination of all of these solutions, but by reducing the scientific debate to a comparison of technologies we risk forgetting about behavioural alternatives.